In my experience those who appreciate the beauty and life giving nature of our oceans and other bodies of water, consider it an honor and a privilege to take in the natural wonders of the deep. If someone has chosen to learn to scuba dive in order to get up close and personal with the underwater wonders, then it seems they have developed a personal view about taking good care of the environment as well. The reefs are dying. None of us can afford to let these beautiful life forms die. We have all seen their beauty, either live or on TV and we know that sometimes words just aren’t enough to describe them. Given names like bird’s nest, staghorn, pillar, lettuce, finger, mushroom, brain all sets an image in our minds, but still don’t begin to describe their display of elegance and diversity. The coral reefs are vital to many a sea critter. It’s their home base, offering nooks and crannies for shelter from predators, and rough weather. The reefs are grow grounds for algae and other nutritional plants that feed aquatic life. Life in and around the coral reefs is symbiotic. The relationship that every plant and animal associated with the reef plays, is a dynamic role in the ecosystem of the magnificent structure. Reefs give life to the sea as the sea gives life back to the reef. The balance is crucial. They act as natural barriers during high, rough seas, they are an important food source for people – especially those who live nearby. Components to new medicines are being discovered within the oceanic growths which helps treat debilitating diseases like cancer and autoimmune disorders. For folks like us at Atlantis Kemer, we make our livelihood from the sea through tourism and educational programs. The tourist industry thrives to the tune of $325 billion – with a B – every year from the revenues generated by different water activities revolving around coral reefs. Fisheries harvest from the sea and without the coral reefs there would simply be no fish. The reasons go on to fill volumes with collected data regarding the importance of the reefs to our planet’s well-being. What can be done to save these beautiful ecosystems? For divers, we make sure we look with our eyes and not with our hands. Touching coral, which is alive and sensitive, can kill it. Over the past three or four decades, people have been made more aware how to respect this vital entity by not taking or breaking pieces to bring back home as souvenirs, or through clumsy neglect. Global warming and pollution has also had an impact. 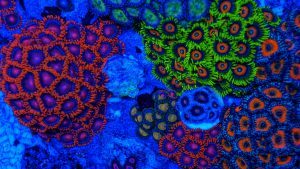 Awareness to these subjects bring solutions, and there are million dollar concerns worldwide, making monumental efforts to preserve the health of the reefs. We as individuals can contribute to these causes with money, time and mindfulness. What are some of your thoughts on this subject? Leave a comment below and join the conversation.